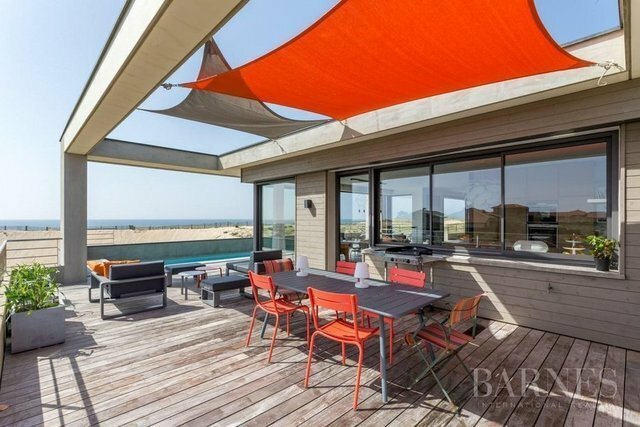 Seignosse, very beautiful contemporary 280 sq.m home facing south west, overlooking the sea. Large windows opining onto the terrace and the ocean. Large living-room, 4 bedrooms. Large terrace with pool and jacuzzi. 1540 sq.m garden.